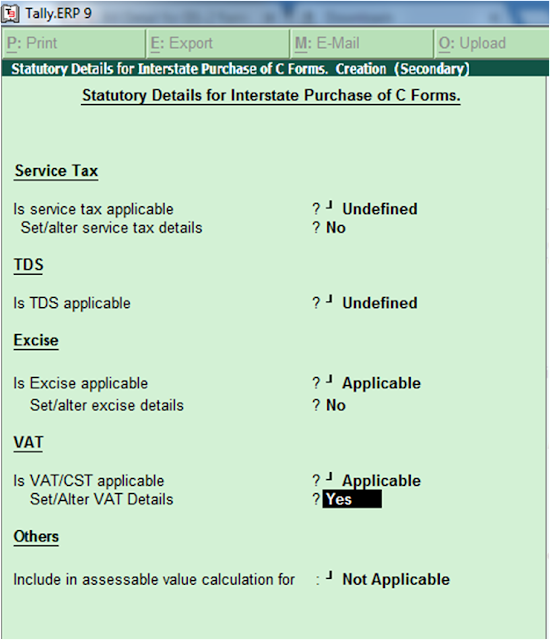 In this lesson we know about How to Create C Form Issuable / Receivable Entry in Tally. Now from Release 5 updation onwards, Tally introduce all the new statutory features in every update. But some users don’t know about new features and updation and they still working of Release 4.93 or lower version. Some of the users scared to update the tally because of integration of taxation, inventory and banking in Tally.ERP9 New Version. 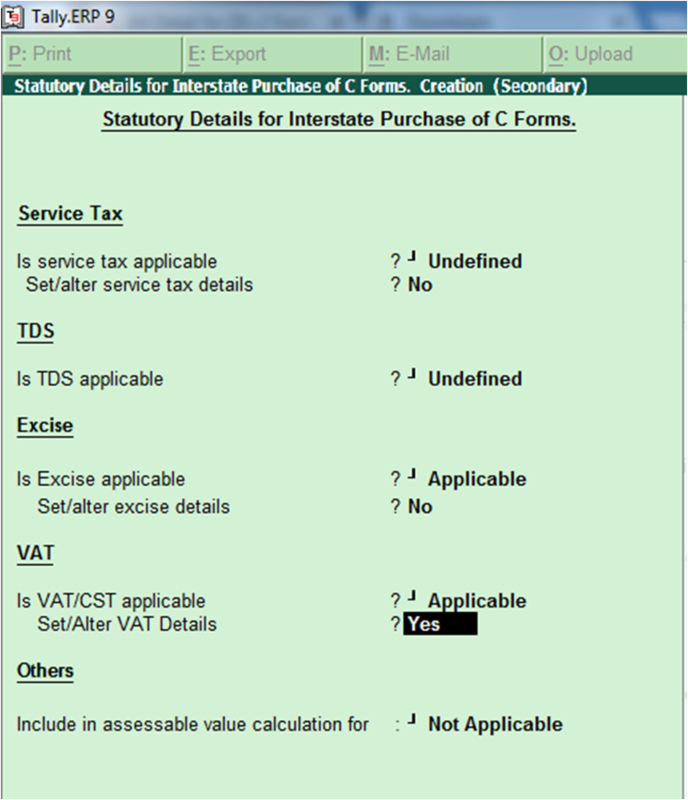 So in view of above problems we learn about a simple taxation feature which is CST C Form integration in Tally.ERP9. Go to Accounting Inventory – Ledgers – Create. Enter name of Party Select Under the head of Sundry Creditors , Enter VAT Details and accept as yes. 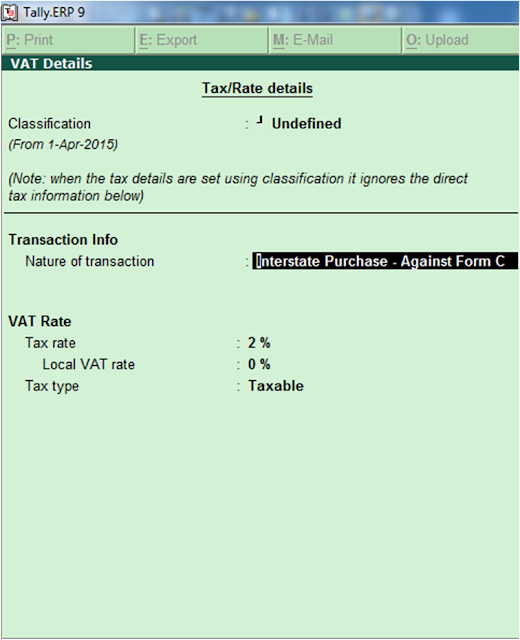 Select vat details as yes and tally ask you to enter the nature of Inter State purchase for statutory compliance. Fill the required details and save the voucher. Go to Display – Statutory Report – VAT – Declaration Forms – Forms Issuable – Group / Ledger – Select Group if you have multiple parties or select ledger for a single party. The details of C / F/ H Form details showing on your screen.